Really good game, and really good customer service! The game case I received from Lukie arrived in pretty poor condition (split in two). Contacted customer service and got a quick and friendly response with store credit equal to the game's price (due to them not having extra copies in stock at the moment). Absolutely recommended, will buy again! This isn’t the first time I’ve ordered from Lukie, and it certainly won’t be the last. As always, the game came in mint condition, even though the product is described as “used”. Don’t let that deter you. If you’re looking for classic jrpg’s, then pick this up. 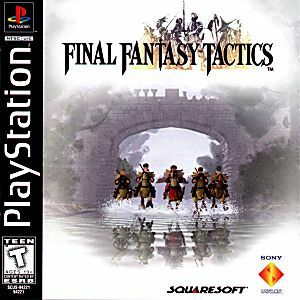 Final Fantasy Tactics,in my opinion, is by far the best Strategy Game of all time. For those who are fans of that genre and have not played this game, it is a must pick up. This game has SO much to offer that my first save file had over 200 hours logged. 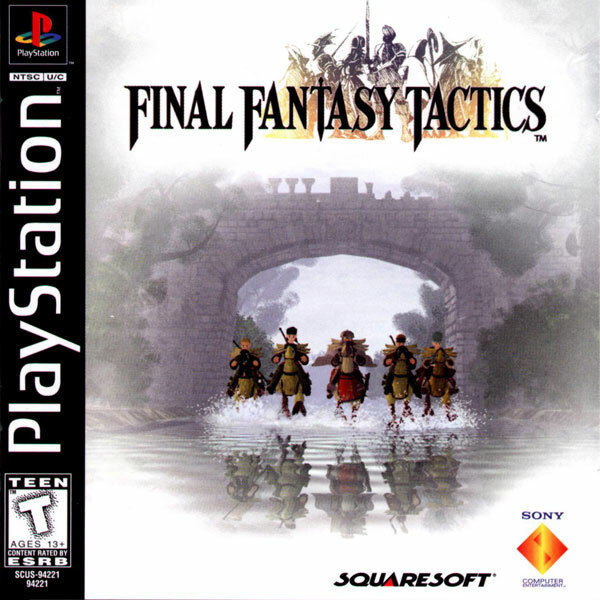 FFT has a huge epic story, which is unique for a strategy game. This large amount of story does not take away from the games main focus...strategy tactics. With up to 15 characters to add to your group and over 20 job classes for each to master and level up, this game will keep you busy for a while. They even have secret characters like Cloud from Final Fantasy VII. Each Stage takes place on an isometric view of the board. From here you will see simple but nice graphics and beautiful brilliant colors for all spells used. Level designs range from lush forests while raining and a castle fortress to the library basement or rooftops of towns. The game takes place in the world of Invalice which was later used as the world for Final Fantasy XII. Perhaps the most incredible part of the game is its music. The music is some of the best ever in video games and compliments each scene, action and story perfectly. (Just a thought for Lukie Games about the addition of game soundtracks to your site.) The game is not without its flaws. There are some rare camera issues when trying to move to see hidden enemies. As well, you need to invest alot of time into each level as they average around 30-50 minutes per fight with no save during. You NEED to save after every fight and this is why: Sure griding to level up for a story fight makes the fight easy, but random fights that you grid on ALWAYS match your current level. This means every random fight is a challenge and equally as hard as the next. So save every chance you get. Too much time is invested in character development for you to lose to a couple Chocobo's. Overall any fan of Strategy games MUST pick this game up,instant classic. For those interested in this type of game, pick it up. For those not iterested in it...at least give it a try. Just remember to all, you will need to invest alot of time...but in the end it's all worth it and satisfying. In my final opinion, this isn't just the best strategy game of all time... it is MY favorite game of all time!